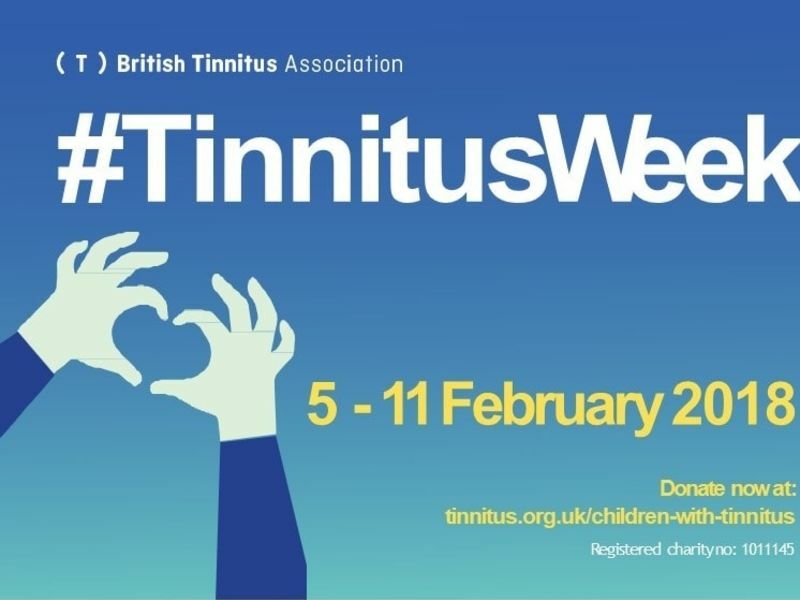 This week is Tinnitus Awareness Week (5th-11th February). Tinnitus affects approximately one in ten people in the UK, with many people living with the condition in the dark as to the charities and therapies available. This week, we will be supporting the British Tinnitus Association in their mission to raise awareness of tinnitus, and what you can do to take control of your hearing. Most people associate hearing impairment with what you can’t hear; the sounds and experiences that you no longer acknowledge due to hearing loss. Tinnitus is the frustrating condition where you can hear sounds with no external source, often in the form of ringing, buzzing or whooshing noises (known as Subjective Tinnitus). However, there is also a form of tinnitus known as Objective Tinnitus, where internal sounds such as your pulse or breathing are magnified. These symptoms can happen sporadically, but in some cases they can be persistent. This can inflict a great deal of stress when trying to go about every day tasks, or when you are trying to sleep. People suffering with tinnitus can often feel isolated and at a loss, but with a free tinnitus consultation at your local Leightons you can be assured you’re not alone. Keep your ears clean. Infections can cause tinnitus, so help prevent them by keeping any ear plugs, in-ear headphones or hearing aids clean. When it comes to removing ear wax, make sure you get a qualified audiologist to do it for you- cotton buds can push wax deeper in to your ear, furthering the problem. Less is more! Listening to live music, turning your favourite song up on your headphones… we are all guilty of putting our ears under pressure for our favourite music. But if you wear protective ear plugs to your regular venue, and keep your headphones to a safe level, you can enjoy your music for longer. Most smartphones now will tell you when the volume is too high, so take note and turn it down a little! Take time to yourself. Giving yourself some peace and quiet is a great way to give your ears a break from the constant noise of every day but taking time to de-stress can relieve the symptoms of tinnitus. Tinnitus can strike at times when you are stressed or anxious, which can add insult to injury! Take some you-time for the benefit of your wellbeing, as well as your hearing. Although there is no treatment for tinnitus, there are therapies and treatments that can reduce symptoms and help you take back control. Tinnitus treatment isn't a cure, but mainly acts as a form of tinnitus relief. Tinnitus is often accompanied by hearing loss, which can be picked up by one of our free hearing assessments. If you do have hearing loss alongside tinnitus, it’s likely your new hearing aids will have a tinnitus relief setting. This uses a form of Sound Enrichment Therapy, which is the repetition of sounds such as waves, bird song or rain which masks the ringing in your ears. Sound Enrichment Therapy is a quick release from the symptoms of tinnitus, but you can also invest in more long-term therapies such as Cognitive Behavioural Therapy (CBT) and Tinnitus Retraining Therapy. These are both forms of therapy which help you manage the emotional side of living with the condition, teaching you how to manage your life around tinnitus and dealing with any negative feelings that come with it. All of these treatments and therapies can be discussed in your tinnitus consultation – the first step is to talk about it. You can reach out to a loved one, or visit our friendly audiologists to start your journey to better hearing. Just book an appointment online or call your nearest branch today.